Does Your Company Culture Need To Change With The Times? Don’t Sing The Blues; Learn From The Blues. Does the strong and deep company culture you have nurtured and sustained still resonate with employees and attract customers? As new generations replace retirees and your customers change, is your company culture still aligned with your company’s goals? If you are thinking your company culture is too embedded to change, consider the most truly American form of music, the Blues, and you will see that if it’s culture can change with the times, so can yours! How so? The Blues as a music form was born out of the roots of slavery and Jim Crow but was first heard across the world through the voice of Robert Johnson. His songs and voice expressed the hardship endured by African Americans that was carried forward through the great migration north to Chicago. While I’ve always enjoyed the Blues, only now did I learn about the business, the artists and the hard-core fans that support and have changed this music as it thrives in the 21st century. 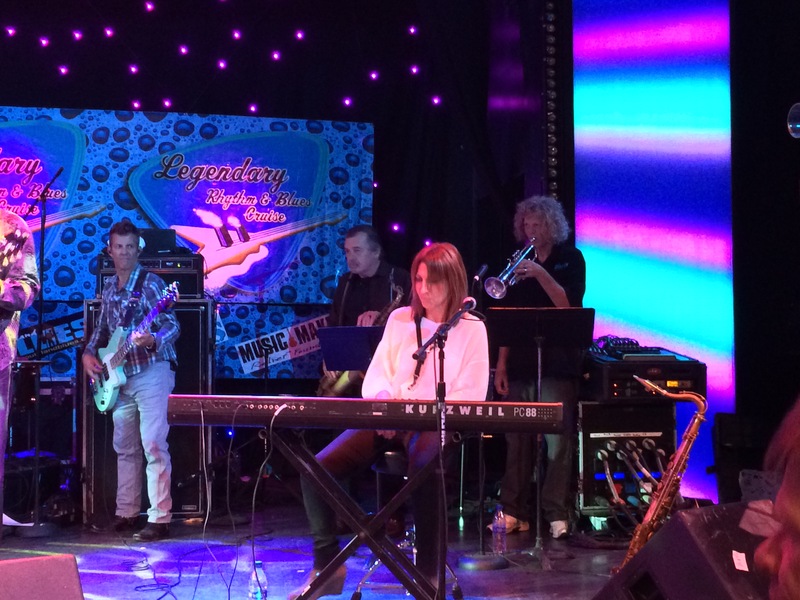 Recently, I was embedded on the 23rd sailing of the week–long Blues Cruise with 25 bands and 1500 fans. 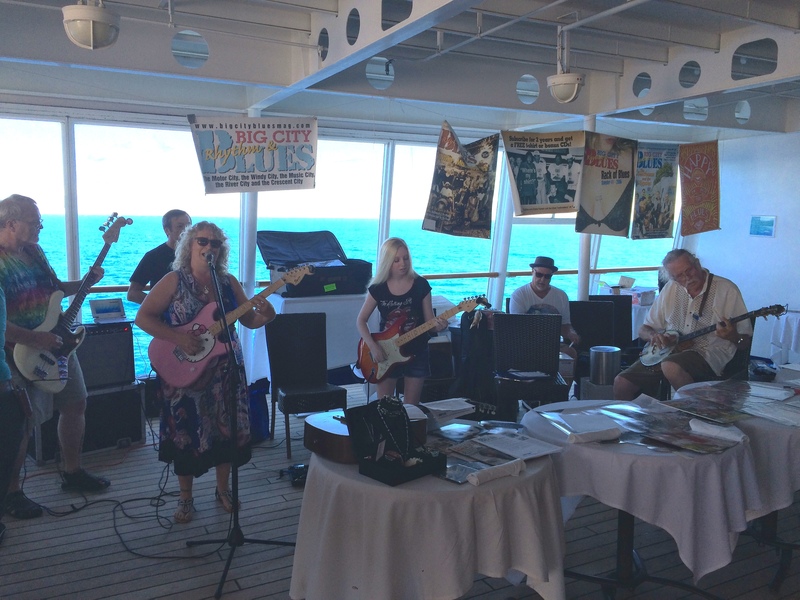 Conceived by the entrepreneur Roger Naber and co-sponsored by the Blues Society, the Blues Hall of Fame and various other Blues organizations and media, each cruise sells out months before sailing. Why are the Blues a role model for your culture change in your business? Because it’s radical shifts in culture change proves all businesses can to adapt to keep up with the times. Here are 3 reasons and examples of why the Blues had to and the implications these have for your company’s culture change. a. Implication for your business: Consider how your new suppliers will influence the product you have to sell and determine your value proposition. a. Implication for your business: Regardless of the protestations of your oldest customers, you may need to make accommodations to attract the next generation of customers. 3. The Blues have changed from music about suffering and surviving to music about feeling and coping. As the human condition of all ethnicities has improved since the days of slavery, especially among today’s 20-40 year-olds, Blues music has changed accordingly. 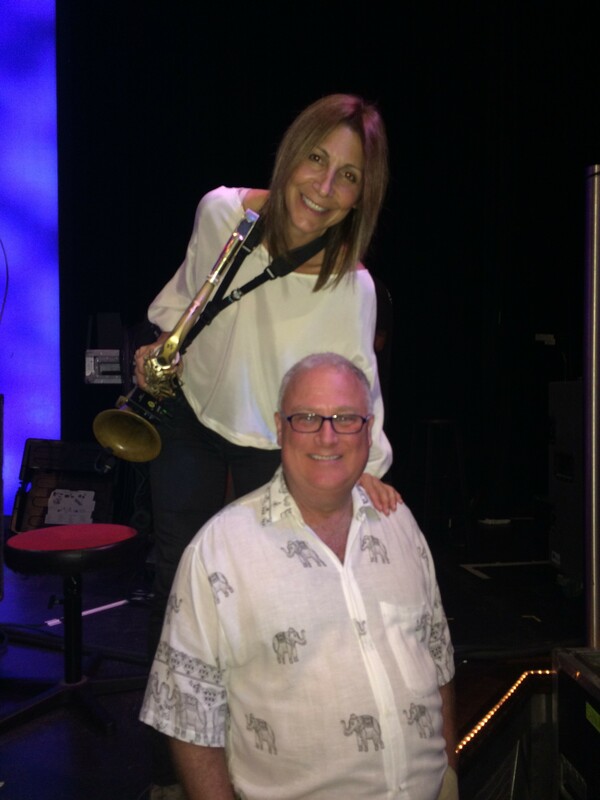 For example, Deanna Bogart, a brilliant piano, saxophone and vocalist, sings one of her hits about being the only girl in the band. that’s a long way from songs of survival. The younger generation of artists sang mostly about coping with today’s human conditions. On this bargain-priced cruise, cabins were available from “Motel 6” rates all the way up to the “Four Seasons” of suites, yet the audience was 95% white with an average age of 60.
a. Implication for your business: Despite what you and your devoted customers may want, let your new buyers influence not just what you provide but how you think about your whole business and its Best and Highest Use. Don’t be so defensive of your traditional culture at the risk of losing your new customers. Give them what they yearn and will pay for. If the Rolling Stones could have one of their greatest hits being a disco song called “Miss You” and Bob Dylan offended his folk song fans when he played the electric guitar, consider how you can stretch your limits. You can also choose to define the trends rather than react to them. How does the Blues cruise succeed in the face of the changing culture of the Blues itself? As a business, www.bluescruise.com earns respect and profits. Here are 4 ways they do it. 1. The Blues Cruise thrives through endorsement and partnerships with industry associations and defenders. The night before the ship sailed, the Los Angeles Blues Society, an organization whose goal is preservation of the art form, sponsored a pre-concert event asking only that all those attending join the society to support the Blues itself. a. Implication for your business. Continually find ways to engage your customers so they can leverage your efforts. 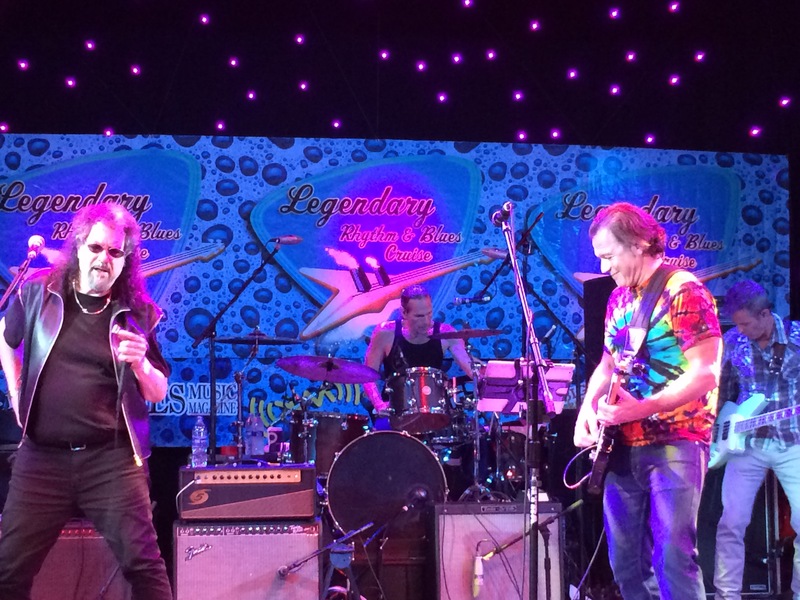 While the attendance of many business association and tradeshows is down, the Blues Society demonstrates that a core group of devotees can carry a business forward. 2. Find innovative venues to provide immersive experiences. A weeklong program on a cruise ship is an ingenious way to build loyalty and community. On these cruises, the 30 bands, promoters and 1500 cruisers had the opportunity to get to know each other over lunches, at the pool and in the gym. This enabled bands to jam with each other, meet promoters and bond with their audiences. I leave with fond memories of meeting many of the musicians. a. Implication for your business: How can you create bonding experiences for your customers with each other and with your staff? 3. Respect the legacy, promote the present and encourage the future of the Blues. All cruisers know that while the music is so steeped in tradition much is changing and are eager to look back, look around and look forward. 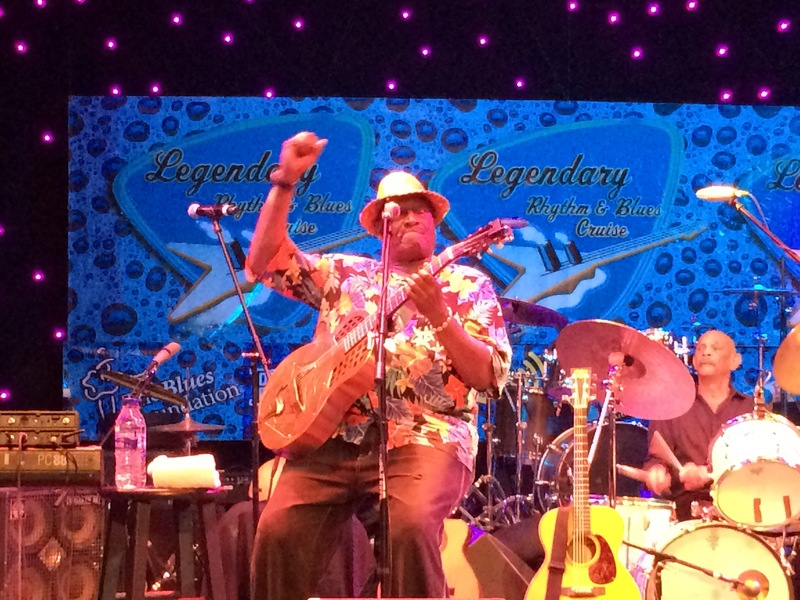 The artist Taj Mahal, well into his 70s, was treated with great respect as a Blues Hall of Famer. brought a wonderful spirit of youthful enthusiasm and energy playing every morning till 3 AM. 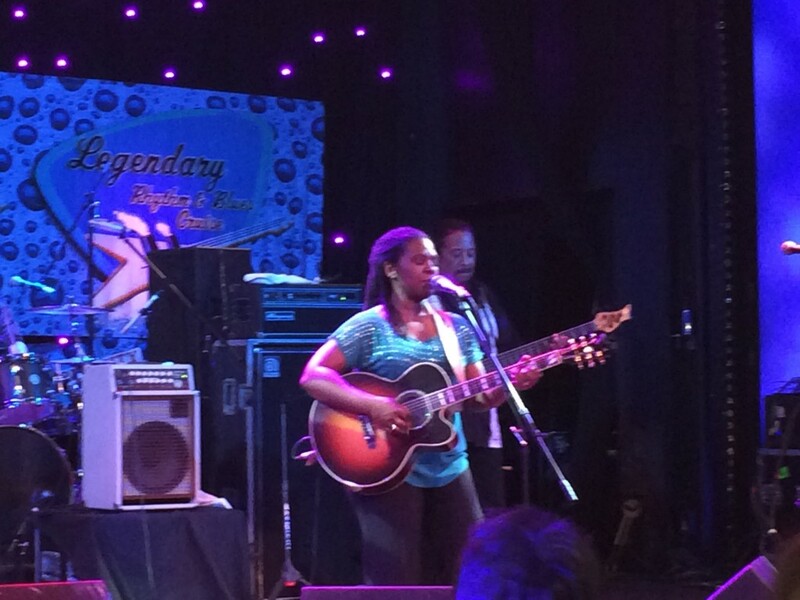 And young passenger Cheyenne, a 16-year-old guitarist invited to jam alongside the pros. She and several of the ship’s musicians were clearly in music heaven. a. Implication for your business: In shifting your culture, don’t forget to honor the past, support the present and invest in the future. Culture change best occurs when all those involved can contribute. 4. Leverage current technology and the venue to enhance the audience experience. 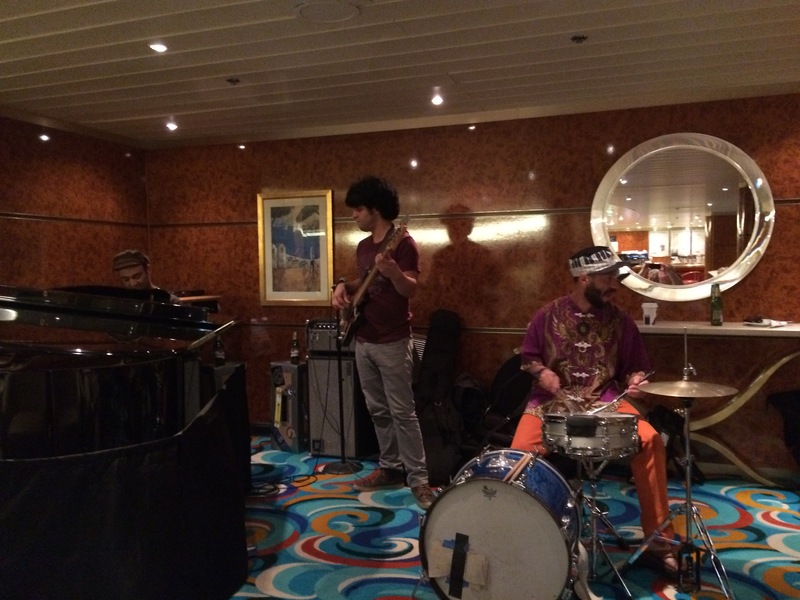 The Blues cruise was able to take advantage of the ship’s unique features. In addition to its theater, piano bars and small stages available, Roger’s team built a stage over one of the swimming pools creating a Festival–like experience. To sit around the pool, sip cocktails and get a tan while watching the performers was a delight. We enjoyed the upscale experience usually reserved for paying hundreds or thousands of dollars at an event such as the New Orleans Jazz Festival or Burning Man. Furthermore, a sampler CD was provided to the cruisers as they left the ship.. This gave the artists another way to thank their newly-expanded fan base. a. Implication for your business: How can you better connect in unusual ways to your fan base? Mobile technology offers countless ways to take your customers out of conference halls and invite them to exciting locations for unforgettable experiences. Conclusions/Summary. Culture change is one of the most critical and difficult components of insuring your business’ success. You must protect your firm’s deep roots, stay relevant and continue to appeal to new customers, employees and vendors. The Blues are embedded in this country’s heritage and consciousness because of how well it still expresses the human condition. Watching its evolution is fascinating. Imagine how Robert Johnson would feel if he witnessed the cruise spectacle that he helped create. Don’t you wish that your legacy could have the same impact on the future success of your business? 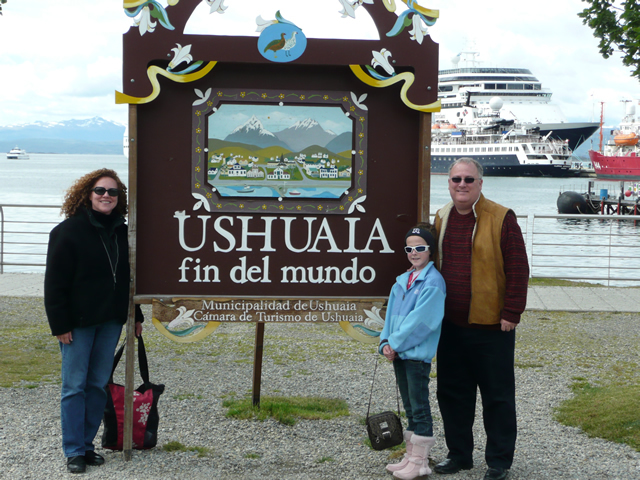 Go Away to Come Back; Business Lessons From Seven Continents. Is the idea of leaving your business as well as your country to see the world absurd? As business owners, we are heads-down focused on our business and driven to make it better. Leaving our business is inconceivable. Or is it? Remember back to your childhood. On sunny days, Mom and Dad made you go outside and play. Before there were play dates, you went to a field with your friends and a ball and decided, what game would you play? Whose team were you on? And what position would you play? Wasn’t it fun? Now that you’re the boss, it doesn’t have to be a summer day. You can get away whenever you choose. Everyone knows it costs less to keep a customer than to sell to a new prospect. Yet, so few people know how to keep a customer for life. I’ve build a considerable empire based on retaining customers and I’d like to share my best ideas with you so you can grow your business. You might have the basics covered, tactics like offering superior customer service, and sending hand-written thank you notes. But I’ve found five foundational truths that you must follow if you want to keep your best customers. 1. You have to offer a superior product or service. That’s the most important factor. If your product stinks, then no amount of customer service, good will, rebates or discounts will keep a customer. On the other hand, if you offer a great product, not only will they stay forever, chances are they will tell their friends and they will become customers too. When I started my PR LEADS business, clients got outstanding results. They would tell their friends they got into the New York Times. Their friend would ask, “How did you do that?” And they’d say, “I use Dan Janal’s PR LEADS service.” And the next thing I knew was that I saw orders appear in my shopping cart – oftentimes without speaking to the prospect beforehand! As long as people kept getting publicity, they gladly stayed as customers – some for as many as 10 years! That’s a lot of income. 2. Manage your client’s expectations. Me: How did you do with PR LEADS? Client: Well, I got into the New York Times, Wall Street Journal, Business Week, Investors Business Daily, The Houston Chronicle where I live and bunch of other places. Me. So would you like to renew? Client: I thought I should have gotten more. Obviously, she didn’t realize she hit a grand slam, won the Triple Crown and held the Stanley Cup. Her results were fantastic! That’s when I realized I didn’t manage her expectations. She thought she should have gotten 100 articles. That was impossible. It was my bad for not letting her know what to expect. Now I tell clients that the average client gets 1 article for every 10 messages they respond to. I also compare that 10 percent figure to the 0.01 percent figure that is common for direct mail so they have something to compare it to. If she had known that, she might have seen her results were spectacular. What can you do to manage your clients’ expectations? 3. Teach them how to use service. If the clients don’t know how to use your service or product properly, then they won’t get the benefits or results they expect. If that happens, they will quit. I teach them how to get the most our of our services – and I use every modality and teaching tool I can think of so everyone learns the way they want to learn. For example, I send them printed instructions via email. I offer a group coaching call several times a week so they can ask their questions and get answers. I also offer to review their written responses to reporters so they can correct errors quickly and easily. Do your clients know how to use your product effectively and make best use of its services and features so they get the most benefits? 4. Make it easy to reorder. If your customers don’t know how to order, or if you make it difficult to order, then they won’t order. Also, if you have to call them to ask them re-order, your chances of making the sale are slim. That’s because no one answers their phones any more. And, given the chance between a yes and a no answer, people will usually say no. It’s a fact of life. You don’t want to give people the chance to say no. They are thinking, “Do I want to order a publicity service, or do I want a pizza?” The pizza will win every time. I found the best tactic from a guy named Mac Macintosh who was in a mastermind group with me a long time ago. I think everyone whose last name is Macintosh is nicknamed Mac so I don’t really know who this was, but I owe him a huge debt of gratitude. He is a copywriter and when he heard my problem of getting reorders he told me about the “until forbid” system. It’s the system of automatic, recurring billing used by every health club, cable TV service and garbage pickup company, among others. It means they charge your card until you tell them to stop. This was a game changer for me! I didn’t have to play phone tag with clients any longer. I could charge them automatically. The key to making this work is to explain very clearly at the beginning of the relationship how the rebilling process works. When was the last time you looked at your re-ordering process through the eyes of your customer? 5. Manage your own expectations. Not every client will stay forever. Some aren’t qualified. Some have short-term goals. Some are near broke. Some won’t do the work. Some won’t appreciate your efforts. Some will, unfortunately, die. It would be nice if we can eliminate these people from our system at the outset, but you never really know who will succeed and who will not. Life is full of surprises. After a while, you’ll probably see a certain number of people who stay forever. How do you know if that number is good? Your number will be different than my number. That’s okay. We have different businesses. It would be interesting if you can compare your number to another company in the same industry who has the same kind of client and the same kind of service to see if you are ahead of them or not. Is there a trade group or association in your industry that has numbers like these? If you follow the ideas in this article, you very well might transform your business from one that struggles continually to find new clients into a treadmill that has clients for life. Your business strategy is crystal-clear, sharply-focused, and well-versed – or is it? Do your employees, customers, and vendors really know your core competencies? Are you certain everyone understands your plan to achieve your mission and vision? As long as capitalism survives in the United States, there will be bankers and business owners. Whatever the stage of the business cycle, one will need the other more. If bankers are lending freely, there’s a good chance owners don’t need to borrow (and the reverse is true). You need capital for your company to grow, but you may want to reconsider venture capital. The basic problem with partnering with venture capitalists is that their need to earn quick, big returns conflicts with your goal of building your business. Growing a company’s customer base rarely enriches a venture capitalist as much as the next round of investors. Good, smart people start companies, and they go into business with ambition and a sense of purpose. So, why do some of them make decisions that are painful to watch? Even when the owner is pompous or self-righteous, it’s easy to flinch when terrible choices lead to them to lose their way — and then lose everything. The saying “it’s better to be lucky than smart” is often used to describe successful CEOs who aren’t necessarily the smartest people in the room. Despite flopping in the classroom, not coming from money, or not attending a top school, some of these business owners become quite successful. You think you have problems? Try being a cop. Years ago, I went on a police ride-along in Pittsburgh’s highest crime zone. During that Saturday graveyard shift, the officer and I responded to nonstop calls about gunshots, domestic violence, armed intruders, crack-addict beatings, fugitive surveillance, and gang hangouts. If so, you might be asking the wrong question. The problem might be your company’s sales process, not the salespeople. Are your sales reps failing for these reasons? Andy Birol on Does Your Company Culture Need To Change With The Times? Don’t Sing The Blues; Learn From The Blues. 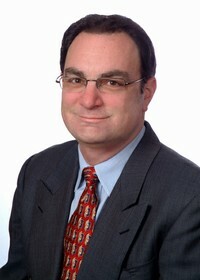 Dave Fertig on Does Your Company Culture Need To Change With The Times? Don’t Sing The Blues; Learn From The Blues. Kay on Does Your Company Culture Need To Change With The Times? Don’t Sing The Blues; Learn From The Blues. Why Focus on Your Customers First?